"...Resoundingly entrancing" says BAM Magazine. "...Fusion...in favor of ensemble fluidity, which has a seductive and serpentine appeal" - SF Bay Guardian. Ustad Habib Khan is regarded as one of the best sitar players in the world today. Classical and progressive sitar virtuoso of the highest level, he was born into a family of musicians and can trace his lineage back several generations to when classical music enjoyed the patronage of the nobility and royalty of India. He began his training at the tender age of five under the strict eye of his accomplished father, Ustad Hameed Jaffar Khan. The Jaffar Khan family was from Indore and were well known for their unique style of playing the sitar, melding the effect of the human voice and the instrumental tone into a harmonious whole. Habib Khan has carved out a distinct style of his own which is a blend of his father's traditional techniques and his own imaginative innovations. He is as much at ease with light classical and religious music as he is with pure classical renderings of ragas. Habib Khan lives and teaches in the San Francisco Bay Area and performs all over the world. He is a genre-defying sitarist and has composed music for several CD's and performed with world class musicians including Ustad Zakir Hussain, Pandit Swapan Chaudhuri, Pandit Ramesh Misra, Pandit Vikku Vinayakram, Hamze Aul Din and others. He composed Fire Dance (With Pat Martino, Zakir Hussain, Peter Block, and Ilya Rayzman). He also produced music for a yoga video series by Vasanti Bhat. Instrumentation: Sitar, Tabla, Santur, Acoustic Guitar, Piano, Drums, Cello, Bass, Sax, Flute. 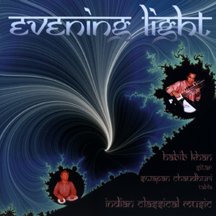 A World/Indian fusion CD project with tabla master Swapan Chaudhuri, saxophonist extraordinaire George Brooks, famous jazz drummer Danny Gottlieb, Persian santur master Alan Kushan, scalloped fretboard guitar master Matthew Montfort of Ancient Future, Windham Hill/Narada pianist Ira Stein, Drumer Danny Gottlib of Pat Metheny Group, Hans Christian of Rasa on cello & Bass, Saxophonist George Brooks who has accompanied Zakir Hossain and others. 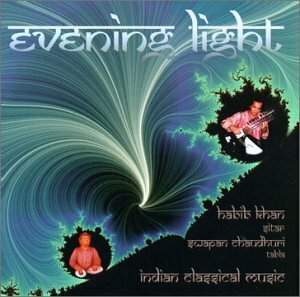 "Longing" shows its roots in the music of India with strong compositions by Habib Khan. Ustad Habib Khan is regarded as one of the best sitar players in the world today. He was born into a family of musicians and can trace his lineage back several generations. He began his training at the tender age of five under the strict eye of his accomplished father, Ustad Hameed Jaffar Khan. Habib Khan has carved out a distinct style of his own which is a blend of his father's traditional techniques and his own imaginative innovations. Habib Khan lives and teaches in the San Francisco Bay Area and performs all over the world. At the age of five, his parents initiated his formal musical training and inspired him in the field of tabla. Swapan bases his style on the intensive training he received from his guru, Pandit Santosh Krishna Biswas of Calcutta, the eminent exponent of the Lucknow Gharana. Pandit Swapan Chaudhuri is an eminent tabla player whose musical accomplishments have earned him world renown. In 1981, Ali Akbar Khan invited him to come to the U.S. from Calcutta and teach at the College. Swapan holds a Master's degree in Music and has received honors and awards from the Government of India and other institutions. He developed his skill as an accompanist through years of accompanying Ali Akbar Khan. As a soloist and accompanist, he has also traveled throughout the world, accompanying many of the leading musicians of India. Swapan is associated with various American Universities as a visiting professor. He is also a faculty member at the California Institute of the Arts. Alan Kushan is arguably one of the most accomplished santur players in the world. He stands out not only because of his brilliant realizations of traditional Persian compositions, but also for his innovative avant-guard soundscapes. His style, however, is not limited to the traditional approaches but it extends itself beyond any such boundaries. Danny Gottlieb is the original drummer for the Pat Metheny Group. He is the co-founder of Elements group with Mark Egan. He has performed or recorded for Sting, Al Di Meola, Ahmad Jamal, Eddi Goez, The Blues Brothers, Stan Getz, The Manhattan Jazz Quintet and Gil Davis. He has won the Modern Drummer poll for the best electronic jazz drummer. George Brooks met composer Terry Riley and sitarist Krishna Bhatt in 1979. Improvising with these musicians ignited an interest in Indian music. In 1996, Zakir Hussain's label released Brooks' debut CD and he toured in concerts with Zakir Hossain worldwide. He also performed with many of India's top classical artists including Hari Prasad Chaurasia, Sultan Khan, Aashish Khan and Swapan Chaudhuri. Hans Christian has played the cello for 30 years and developed a legacy of collaborating with many artists. His own music can be heard on several solo releases, among them Surrender and Phantoms, and on his newest project with singer Kim Waters, called Rasa. Ira Stein signed his first recording contract and released his first album on Windham Hill Records before age of 20 in 1982. In 1991, Ira formed a new group and released two albums on Narada Records. Currently Ira has done his new album independently on his own Lost Time Records label. Mary Ellen Donald is a nationally acclaimed author, instructor and performer in middle eastern percussion. Matthew Montfort is a pioneer of the scalloped fretboard guitar and the leader of Ancient Future. Founded in 1978, Ancient Future is the first and longest running ensemble dedicated to creating world fusion music. This is a collection of five romantic raagas performed by world renowned musicians. Here simplicity of only two instruments, Sitar and Tabla, turns into a creation of some of the most passionate and romantic, yet meditative music. As performers they are much at ease with light classical and devotional music, as they are with pure classical rendering of raagas. (Over 77 Minutes). Habib Khan would like to give special thanks to his wife, Shobha Khan. Ustad Habib Khan is regarded as one of the best sitar players in the world today. He was born into a family of musicians and can trace his lineage back several generations to when classical music enjoyed the patronage of the nobility and royalty of India. He began his training at the tender age of five under the strict eye of his accomplished father, Ustad Hameed Jaffar Khan. The Jaffar Khan family was from Indore and were well known for their unique style of playing the sitar, melding the effect of the human voice and the instrumental tone into a harmonious whole. Habib Khan has carved out a distinct style of his own which is a blend of his father's traditional techniques and his own imaginative innovations. He is as much at ease with light classical and religious music as he is with pure classical renderings of raagas. Habib Khan lives and teaches in the San Francisco Bay Area and performs all over the world. This album incorporates deep Indian instrumentation in a fusion environment. Recorded in a live setting, Ustad Habib Khan on sitar plays some of the most beautiful melodies, riding on the powerful rhythm patterns of two master percussion musicians of Indian decent; Pandit Swapan Chaudhuri on Tabla and Pandit Vikku Vinayakram on Gatham. Pandit Ramesh Misra on Sarangi also performs melody and accompaniments on this one of a kind performance of a sitting with Indian master musicians. Perter Block adds special flavor to this performance with his mesmerizing flute performances. Vikku is part of a new generation devoted to expanding ancient Indian traditions. His training came from his father, a master musician. Vikku's instrument of choice is the Ghatam, a large clay pot percussion instrument. Vikku has played in numerous experimental and avant-garde ensembles. He brought ghatam to center stage in international concert halls. Vikku has accompanied the foremost classical musicians and played in Zubin Mehta ensembles. He is best known for his tenure in Shakti. a groundbreaking acoustic Jazz and Indian fusion band with guitarist John McLaughlin, violinist L. Shankar, and Zakir Hussain on tabla. No one who saw Shakti could forget Vikku and Zakir's breathtaking percussion duets. He was co-composer in Mickey Hart's Planet Drum which won a Grammy for Best World Music Album. He divides his time touring and teaching at his school in Chennai Madras. Mastering over one of the most difficult unique string instruments 'Sarangi', Pandit Ramesh Misra is today acclaimed as an outstanding artist of India. Son of great Sarangi maestro, acquired training from finest musicians of Benaras Gharana, Pandit Hanuman Prasad Mishra and late Pandit Gopal Mishra and the legendary maestro Pandit Ravi Shankar. A recipient of India's most prestigious Sangeet Natak Award, Pt. Ramesh Misra has also been honored with Geetanjali, Uttam, Dishari Awards. His mesmerizing melodies produced by his Sarangi can be heard in many music productions, including his solo albums and Ravi Shankar's 'Inside the Kremlin' and the Grammy nominated album 'Legacy' produced by the legendary Ali Akbar Khan. Pandit Misra is a recording artists in Aerosmith's recent album. Peter Block is an outstanding western flutist who experiences a deep musical kinship with the east. Excelling on flute, saxophone and guitar, he has produced, composed and accompanied music with a number of fine stylists and continues to do so with verve and originality. Another recording in collaboration with Ustad Habib Khan, is Fire Dance: which featured both Pat Martino, a legendary jazz musician and Zakir Hussain, the renown Indian tabla-master. Peter Block appears courtesy of Mythos Records. Instrumentation: Sitar, Tabla, Ghatam, Oud, Sax, Percussion, Acoustic Guitar, Piano. 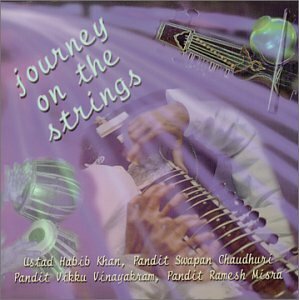 A follow up to "Longing", this CD project was created by Ustad Habib Khan bringing the best of Bay Area musicians together. 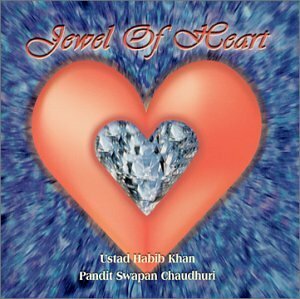 "Jewel of Heart" shows its roots in the music of India with strong compositions by Ustad Habib Khan and contributions from these fine musicians. Matthew Montfort is a pioneer of the scalloped fretboard guitar and the leader of the band Ancient Future. Founded in 1978, Ancient Future is the first and longest running ensemble dedicated to creating world fusion music.